As the saying goes, a picture is worth a thousand words. It is indeed true to some extent: a picture can hold information about objects, environment, text, people, age and situations, among other information. It can also be extended to video, that can be interpreted as a series of pictures and thus holds motion information. This might be a good hint as to why computer vision (CV) has been a field of study that is expanding its boundaries every day. But then we come to the question: what is computer vision? It is the ability to extract meaning from an image, or a series of images. It is not to be confused with digital imaging neither image processing, which are the production of an input image and the application of mathematical operations to images, respectively. Indeed, they are both required to make CV possible. But what might be somehow trivial to human beings, such as reading or recognizing people, is not always true when talking about computers interpreting images. Although nowadays there are many well known applications such as face detection in digital cameras and even face recognition in some systems, or optical character recognition (OCR) for book scanners and license plate reading in traffic monitoring systems, these are fields that nearly didn't exist 15 years ago in people's daily lives. Self-driving cars going from controlled environments to the streets are a good measure of how cutting-edge this technology is, and one of the enablers of CV is the advancement of computing power in smaller packages. 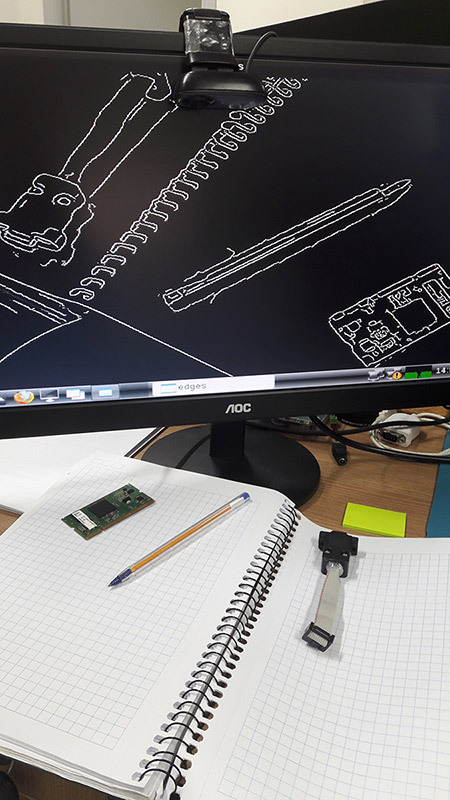 Being so, this blog post is an introduction to the use of computer vision in embedded systems, by employing the OpenCV 2.4 and 3.1 versions in Computer on Modules (CoMs) equipped with NXP i.MX 6 processors. The CoMs chosen were the Colibri and Apalis families from Toradex. OpenCV stands for Open Source Computer Vision Library, which is a set of libraries that contain several hundreds of computer vision related algorithms. 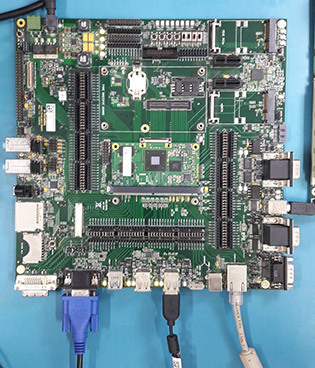 It has a modular structure, divided in a core library and several others such as image processing module, video analysis module and user interface capabilities module, among others. OpenCV is a set of libraries that computes mathematical operations on the CPU by default. It has support for multicore processing by using a few external libraries such as OpenMP (Open Multi-processing) and TBB (Threading Building Blocks). This blog post will not go deeper into comparing the implementation aspects of the choices available, but the performance of a specific application might change with different libraries. Regarding support for the NEON floating-point unit coprocessor, the release of OpenCV 3.0 states that approximately 40 functions have been accelerated and a new HAL (hardware abstraction layer) provides an easy way to create NEON-optimized code, which is a good way to enhance performance in many Arm embedded systems. I didn't dive deep into it, but if you like to see under the hood, having a look at the OpenCV source-code (1, 2) might be interesting. This blog post will present how to use OpenCV 2.4 and also OpenCV 3.1 - this was decided because there might be readers with legacy applications that want to use the older version. It is a good opportunity for you to compare performance between versions and have a hint about the NEON optimizations gains. 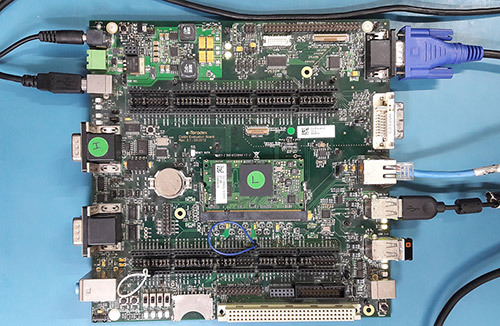 The i.MX 6 single/dual lite SoC has graphics GPU (GC880) which supports OpenGL ES, while the i.MX 6 dual/quad SoC, has 3D graphics GPU (GC2000) which supports OpenGL ES and also OpenCL Embedded Profile, but not the Full Profile. The i.MX 6 also has 2D GPU (GC320), IPU and, for the dual/quad version, vector GPU (GC335), but this blog post will not discuss the possibility of using these hardware capabilities with OpenCV - it suffices to say that OpenCV source-code does not support them by default, therefore a considerable amount of effort would be required to take advantage of the i.MX 6 hardware specifics. While OpenCL is a general purpose GPU programming language, its use is not the target of this blog post. OpenGL is an API for rendering 2D and 3D graphics on the GPU, and therefore is not meant for general purpose computing, although some experiments (1) have demonstrated that it is possible to use OpenGL ES for general purpose image processing, and there is even an application-note by NXP for those interested. If you would like to use GPU accelerated OpenCV out-of-the-box, Toradex has a module that supports CUDA – the Apalis TK1. See this blog post for more details. Despite all the hardware capabilities available and possibly usable to gain performance, according to this presentation, the optimization of OpenCV source-code focusing only software and the NEON co-processor could yield a performance enhancement of 2-3x for algorithm and another 3-4x NEON optimizations. The Images 1 and 2 present, respectively, the Colibri iMX6DL + Colibri Evaluation Board and the Apalis iMX6Q + Apalis Evaluation Board, both with supply, debug UART, ethernet, USB camera and VGA display cables plugged in. It is important to notice that different USB camera models had a performance offset, and that the camera employed in this blog post is a generic consumer camera – the driver was listed as “Aveo Technology Corp”. 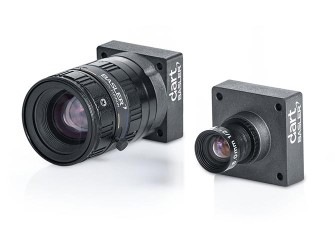 There are also professional cameras in the market, USB or not, such as the solutions provided by Basler AG, that are meant for embedded solutions when going to develop a real-world solution. In addition, Toradex has the CSI Camera Module 5MP OV5640. 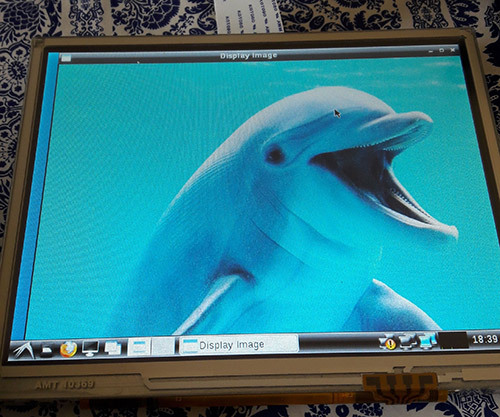 It is an add-on board for the Apalis computer-on-module which uses MIPI-CSI Interface. It uses the OmniVision OV5640 camera sensor with built-in auto-focus. The OV5640 image sensor is a low voltage, high-performance, 1/4-inch 5 megapixel CMOS image sensor that provides the full functionality of a single chip 5 megapixel (2592x1944) camera. 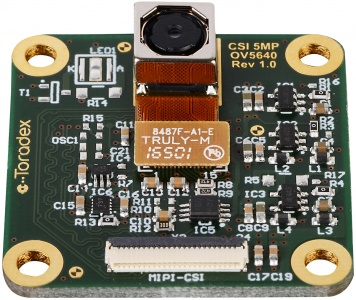 The CSI Camera Module 5MP OV5640 can be connected to the MIPI-CSI connector on the Ixora carrier board V1.1 using a 24 way 0.5mm pitch FFC cable. At the end of this blog post, a summary of the instructions to install OpenCV and deploy applications to the target is provided. default uses the version 2.4.11 and has no support for multicore processing included. # Use the previously created folder for shared downloads, e.g. IMAGE_INSTALL_append = " opencv opencv-samples libgomp"
IMAGE_INSTALL_append = " opencv libgomp"
Please follow this article's instructions to update your module. To compile and deploy, follow the instructions below. The board must have access to the LAN – you may plug an ethernet cable or use a WiFi-USB adapter, for instance. To find out the ip, use the ifconfig command. # Also copy some image to test! In this section, a code that reads from the camera and processes the input using the Canny edge detection algorithm will be tested. It is just one out of many algorithms already implemented in OpenCV. By the way, OpenCV has a comprehensive documentation, with tutorials, examples and library references. It is also possible to get the input device parameters. Notice that the webcam used in all the tests has a resolution of 640x480 pixels. In addition, since all of the video interfaces are abstracted by the Linux kernel, if you were using the CSI Camera Module 5MP OV5640 from Toradex, it would be listed as another video interface. On Apalis iMX6 the kernel drivers are loaded by default. For more information, please check this knowledge-base article. Going to the code, the OpeCV object that does the camera handling, VideoCapture, accepts the camera index (which is 3 for our /dev/video3 example) or -1 to autodetect the camera device. Image 4 presents the result. Notice that neighter the blur nor the Canny algorithms parameters were tuned. In order to compare between the Colibri iMX6S and iMX6DL and be assured that multicore processing is being done, the average FPS for 1000 samples was measured, and is presented in table 1. It was also done for the Apalis iMX6Q with the Apalis Heatsink. All of the tests had frequency scaling disabled. It is interesting to notice that using the TBB framework may be slightly faster than OpenMP in most of the situations, but not always. It is interesting to notice that there is a small performance difference even for the single-core results. Also, the enhancements made from OpenCV 2.4 to OpenCV 3.1 have a significant impact in the applications performance – which might be explained by the NEON optimizations made so far, and also an incentive to try to optimize the algorithms that your application requires. Based on this preliminary results, it is interesting to test a specific application with several optimization combinations and using only the latest OpenCV version before deploying. 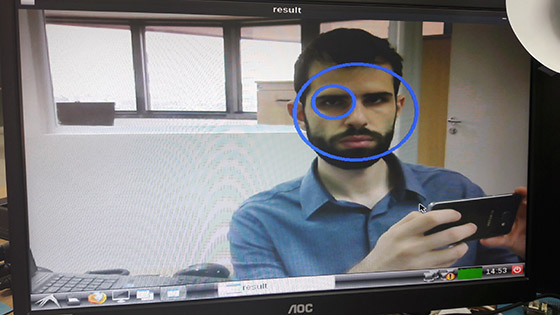 There is also a face-tracking sample in the OpenCV source-code that was tested, since it is heavier than the previously made tests and might provide a better performance awareness regarding Colibri x Apalis when choosing the more appropriate hardware for your project. The first step was to copy the application source-code from GitHub and replace the contents of myApp.cpp, or create another file and modify the CMake script if you prefer. You will also need the Haar cascades provided for face and eye recognition. You might as well clone the whole OpenCV git directory and later test other samples. Again the difference between OpenCV versions is not negligible - for the Apalis iMX6Q (quad-core) the performance gain is 3x, and using OpenCV 3.1 with the dual-core Colibri iMX6DL delivers a better performance than OpenCV 2.4 with the quad-core Apalis iMX6Q. The single-core IT version, thus with reduced clock compared to the others, has results far behind as expected. The reduced clock may explain why the performance improvement from single to dual core is higher than dual to quad core. Since OpenCV is nowadays (probably) the most popular set of libraries for computer vision, and with the enhancement of performance in embedded systems, knowing how to start with OpenCV for embedded applications provides a powerful tool to solve problems of nowadays and the near future. This blog post has chosen a widely known family of microprocessors as an example and a starting point, be for those only studying computer vision or those already focusing on developing real-world applications. It also has demonstrated that things are only starting – see for instance the performance improvements from OpenCV 2 to 3 for Arm processors – which also points towards the need to understand the system architecture and focus on optimizing the application as much as possible – even under the hood. I hope this blog post was useful and see you next time! To deploy the image to the embedded system, you may follow this article's steps.